Navin Pawaskar, a Healthcare Consultant brings to the table vast and diverse experience from healthcare arena. Basically, a post graduate doctor, hospital based clinician for more than 15 yearsin tertiary healthcare, with identical teaching experience. He has risen from the ranks to serve as Director of hospital services thus, rallying in significant administrative experience. 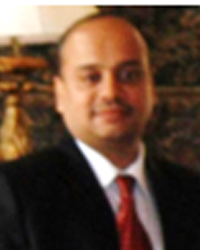 After his stint of two decades accumulating experience in clinical, administrative and education field, he completed his Masters in Healthcare from reputed University in United States of America with a major in Healthcare Finance. He has experience of associating International Healthcare Organizations, has worked on research projects, published several articles and authored a book. He has been instrumental in conceptualizing,planning and execution of JIMS Integrated Holistic Care Model in Patient Care and Academia. He serves as consultant to JIMS for planning, streamlining operations, brings in technological innovation and builds team for the future.